My six year old is very into making different smoothie and shake concoctions. 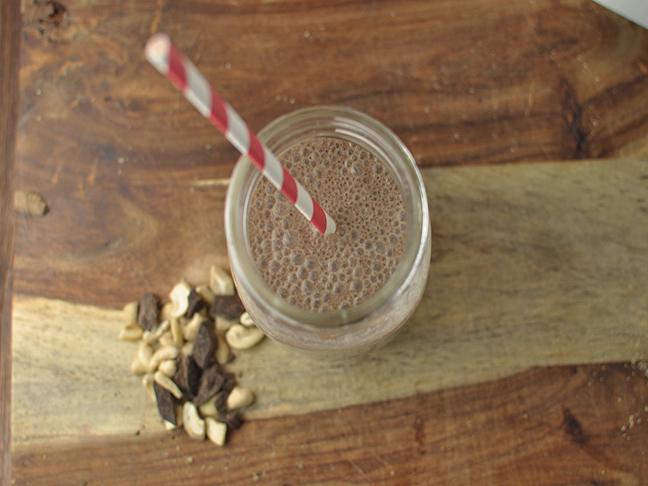 Most of the time we stick with fruits, but sometimes we make a shake that’s more like dessert with a healthy flare. 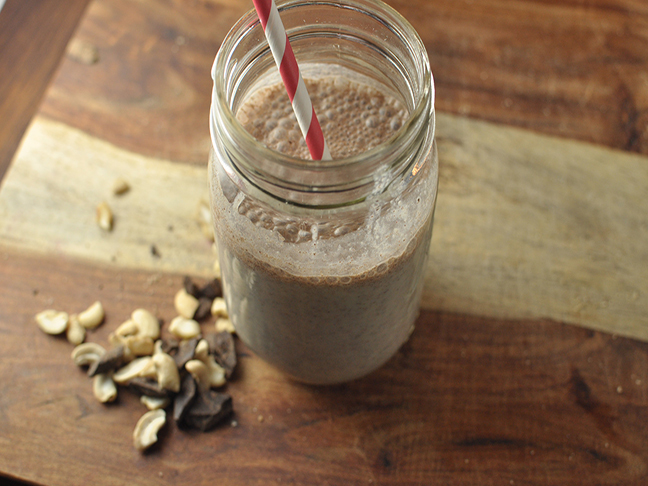 Our new favorite recipe is this cashew chocolate chip cookie shake. 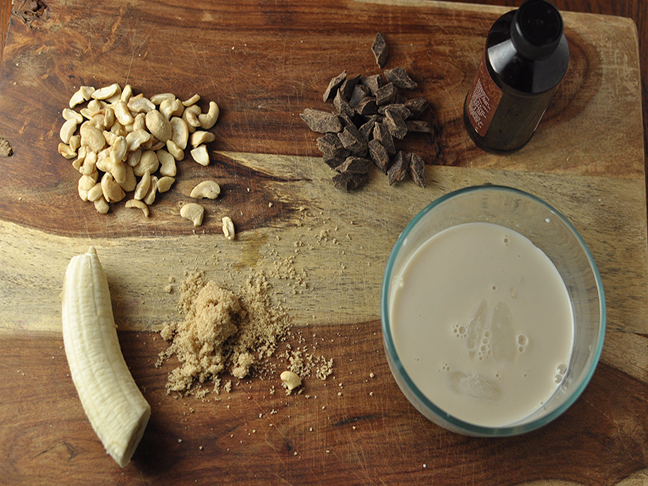 We serve it for dessert, but it actually has a lot of nutritional value in it from the nuts, milk, and banana. Sometimes we even add in a quarter cup of raw oats to make it a more filling snack. 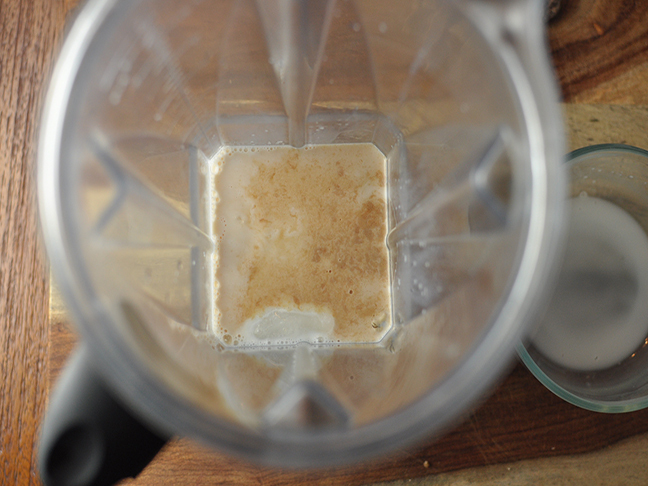 Step 1: Place the first six ingredients into the blender and blend until smooth. Step 2: Add in the chocolate chips and blend for about 15 additional seconds or until they break down into bits small enough to fit through a straw, but not so small they aren't able to be recognizable in the shake. Serve immediately with a straw.